Like no other, iPod Daring Fireball Special Edition stands out. 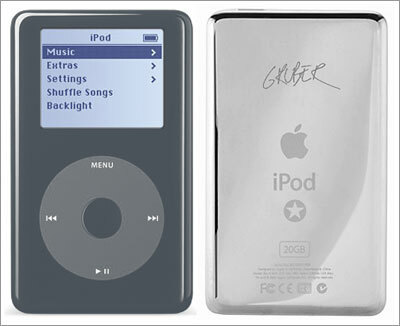 Slate gray, it bears a subtly lighter gray Apple Click Wheel, and, on the flip side, my autograph. Available for just $349 with a 20 GB capacity, it comes with an exclusive Daring Fireball T-shirt, and, of course, the signature white iPod earbuds. As an extra special treat, it includes the entire Daring Fireball archive in audiobook (a.k.a. “podcast”) format, featuring recordings narrated by Christopher Walken, Douglas Rain, Ellen DeGeneres, Donald Rumsfeld, Dr. Joyce Brothers, and Apple Computer co-founder Steve Wozniak. 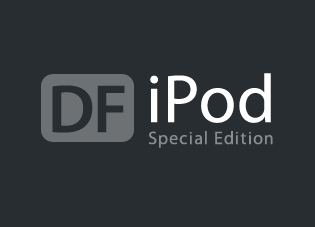 iPod Daring Fireball Special Edition is expected to be available soon. Previous: Does This Brushed Metal Stuff Really Even Matter?